A lot of people want to know what are the best ab exercises for boxers, fighters, or people who participate in mma. But if you ask 100 boxers or trainers they will all say something different. The truth is in any sport there is more than one way to approach any goal. You can gain core strength and abdominal strength doing traditional ab exercises or unconventional core exercises. Nowadays, a lot of people think that you have to do crazy ab exercises to get results, but that's just not true. Here are 10 really challenging exercises that can increase the core and abdominal strength of boxers and fighters. #1 Sit Ups are a great overall exercise, and a ton of boxers use sit ups as one of main exercises in their ab workouts. #2 Incline Sit Ups are a great way to push up the intensity of sit ups. #3 Planks have become a popular exercise for tons of athletes, and you can do many different variations of the plank to change the challenge on your abdominals. #4 Hanging Leg Raises: Grab a pull up bar and bang out as many reps as possible. You can bring your leg to 90 degrees or all the way to the ceiling if you want to make the exercise harder. #5 Medicine Ball Sit Up Throws: You'll need a partner for these. A softer leather med ball will be easier for your partner to catch. Focus on throwing as hard as you can when you sit up. 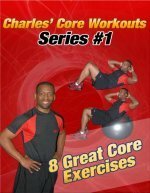 #6 Ball Crunches are better than regular crunches because you get more range of motion in the spine and added challenge on your stabilizer muscles. #7 Russian Twists are a great exercise to work on rotational strength. Many athletes neglect rotational movements, but all sports require rotational strength. Rotational strength helps to transfer power from the core to the arms and legs. #8 Bicycle Crunches can be great for building endurance in the abs. Start off with 30 seconds. Try building up to 1 minute, then 2 minutes, then 3 minutes. Your abs will burn! #9 Piques on a Ball can be used for overall core strength and stability. #10 Cable Rotations just like Russian Twists are great for rotational strength and power. Many boxers and fighters use a cable machine to simulate throwing punches to strengthen the core. These are all more conventional ab exercises for boxers or fighters, but any ab exercise can help to improve core strength. If you are looking for some unconventional ab exercises that can help you take a punch to the stomach check out this page on ab exercises to take a punch to the stomach. Or you can visit the picture directory of ab exercises to view all the ab exercises on this site.